I am fortunate that my dog, Logan, is a well-adjusted, happy-go-lucky, 1 ½-year-old canine. To put things in perspective, his idea of a bad day in the market is any time we come home from the grocery store without cheese. It turns out, however, that he is a walking (or running) volatility laboratory. A typical example of this is the occasional distant noise that just barely penetrates his perceptual radar, particularly on those quiet evenings when he is napping contentedly with the family. Upon hearing the noise, Logan’s altertness instantly spikes, he lets out an involuntary woof, then carefully tunes his ears to their most sensitive setting, seeking any information that will help identify the source of the noise. Usually there are no other disturbances to follow and the noise is catalogued and soon forgotten. His alertness level slowly subsides over the next 10-15 minutes or so and he goes back to napping, a little more fitfully this time and just a little bit on edge. Things get a little more interesting when another noise surfaces shortly after the first one. What could once be dismissed as the wind, the house settling or some such insignificant event now must be treated as a threat – and just to be safe, a threat of the highest order. Now the appropriate response is a series of barks, nervous glances in the direction of the other members of the pack, brief pacing around, and a rushing off in the direction of the noise to investigate, with a flurry of barks meant to sound more menacing than the source of the noise. Who or what is it? How much harm can they cause? How grave is the threat? 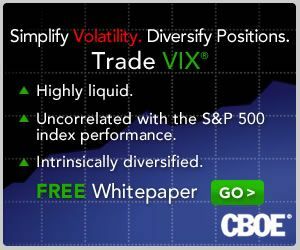 It is the second noise – and any subsequent noises – that creates the equivalent of the Homeland Security red alert and triggers a response similar to what I call “echo volatility” in the markets. Once the elevated level of alertness has been established, it takes a long period of relative serenity for it to subside. On the other hand, when on red alert, any additional noises – big or small – will be magnified and regarded with the utmost caution. In some respects, my dog is a lot like your typical investor and once he hears two or three threatening noises in a short time frame, it is a good bet that the second leg of a volatility spike is just around the corner. Just discovered your site. Very nice! Glad to have you as reader! Thank you brian and zman.